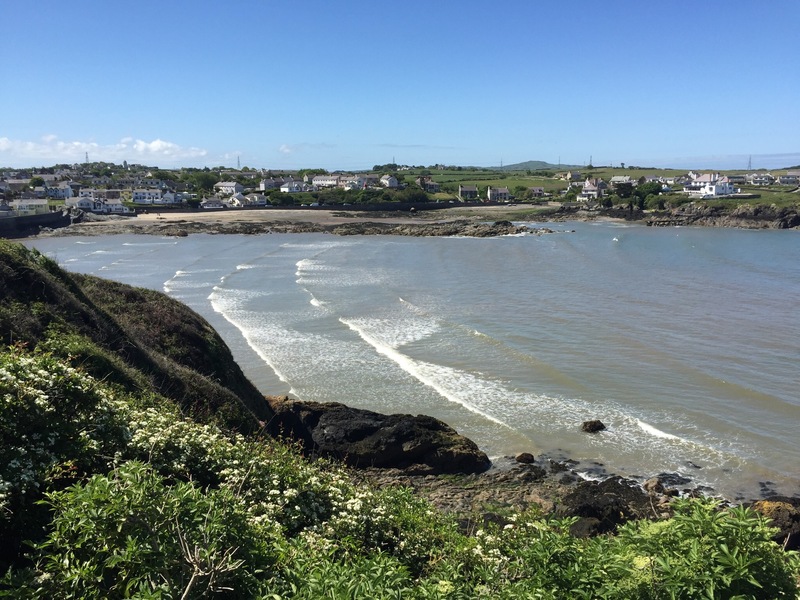 It’s perhaps one of the most wonderful places to start the 125 mile walk around Anglesey. I recall parking in the small car park on the beach and thinking , what a lovely setting and great place to start the walk. So 125 miles to go. Parking is easy and but there is a charge. The car park is right on beach and is actually on the walking route. It has a small kiosk (in summer) and clean toilets. Heading out of the car park you pass along Cemaes Bay and turn left at the end up a clealy marked path that started our walk. It’s pretty easy walking here just wandering footpaths. The view down on to Cemaes bay is wonderful. From here it gets a little more exciting as you head along to St Patrick’s Bay with its small church. It is rumoured to have been build by St Patrick as a thank you after he was ship wrecked here. The church itself is small and you maybe lucky enough to be there when one of the volunteers are around. Try and buy something to help support the upkeep. I can recommend the tea towels. The view from the back of the church can only be described as stunning. See for yourself below. From the church the path follows the coast with some breath taking views and dramatic scenery. There are some steep descents and tiring ascents for the next few miles. There is also very limited routes off the path so make sure to have everything you need. Perhaps one of the most picturesque places on the coastal path (there are many) is Porth Wen. 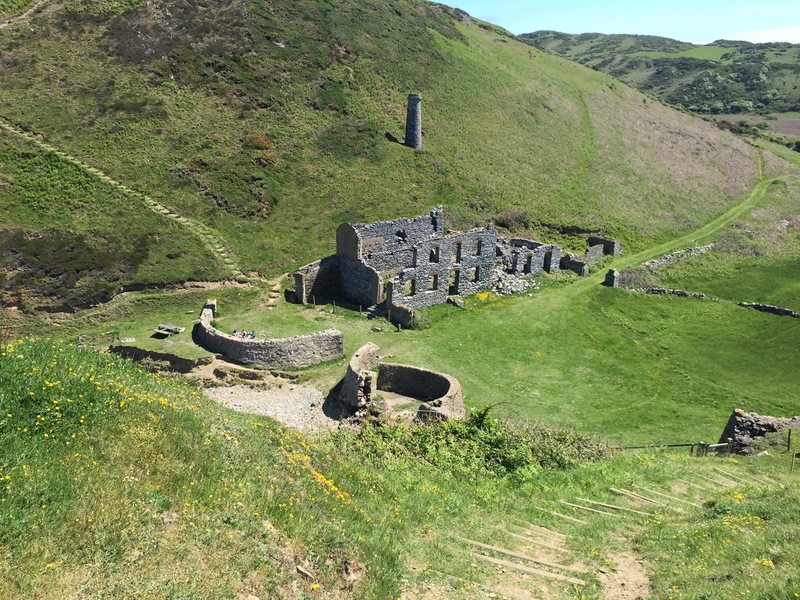 As you descent into this wonderful bay you will see the old brickworks which if you want you can take a detour off the path down and explore. The Brickworks were recently featured on TV in a home build show where the kilns were turned into a virtual home. Worth watching if you can find it. Following the headline it’s simply lovely hugging the coast line before arriving at the lovely Bull Bay. There are a couple of places to eat and drink if you need a break which are the Bull Bay Hotel and the Trecastel Hotel, is which the latter looks a nice place to stay also. It’s not far now to Almwch along a well trodden path and into Almwch where you can the get the bus back to Cemaes Bay.